Pro-independence parties won an absolute majority of seats during regional elections held in Catalonia on Thursday (21 December), despite the ‘unionist’ party Ciudadanos coming on top. The night had various winners, one clear loser and confirmed the social fracture in the wealthiest region of Spain. It also cast doubt on Catalonia’s political future after tumultuous months that saw the sacked regional government unilaterally declaring independence from Spain last October. Campaigning drew to a close on Tuesday (19 December) in Catalonia’s regional election, a potential turning point in Spain’s worst political crisis in decades. The bloc of parties in favour of breaking with Madrid obtained 70 seats, two above the absolute majority. But Junts per Catalunya, ERC and CUP failed to secure a majority in terms of votes (47.5%) confirming that most Catalans have doubts about a unilateral break from Spain, like in the 2015 election. The unionist camp became more visible as Ciudadanos, a liberal party founded a decade ago in the region, won the elections with 37 seats (25.35% of votes). Its spectacular rise was fuelled by the transfer of votes from the conservative Partido Popular (PP), the big loser of the night, with only three seats, down from 11 seats in 2015. Sacked president Carles Puigdemont considered himself the moral winner of the night. “The Catalan Republic won over the Monarchy of 155,” he said referring to the activation of article 155 of the Constitution supported by the ruling PP, the Socialists and Ciudadanos who ganged up to oust the Catalan government after its unilateral declaration of independence. 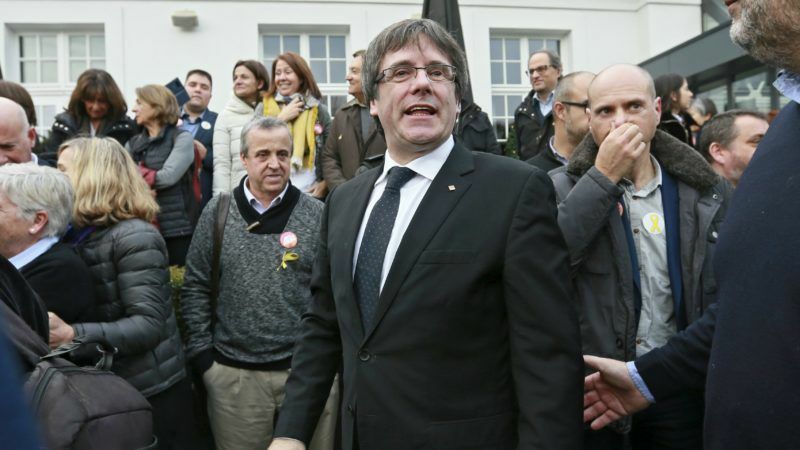 Puigdemont urged a “restitution of the legitimate government” and the release of the pro-independence leaders still in prison, including his former vice-president and leader of ERC, Oriol Junqueras. He requested Spanish Prime Minister Mariano Rajoy “to start doing politics”. If he does that, “we will find a solution” Puigdemont said. EXCLUSIVE / Antoni Comín is one of the four councillors of the sacked Catalan government that fled to Brussels with Carles Puigdemont following the unilateral declaration of independence on 27 October. 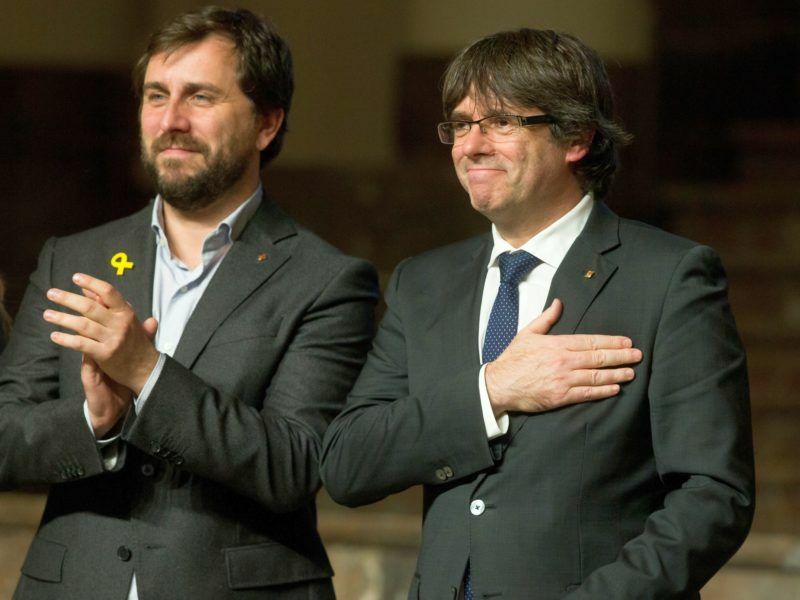 Puigdemont also sent a message to “the Europe that backed Rajoy with their support and silence,” adding: “We Catalans have to decide our future”. However, he did not clarify whether he intends to return to Spain immediately to be sworn in as president. Carles Mundó from ERC confirmed that his party would again support Puigdemont for president. He expected that the sacked president would return to Catalonia, like he promised during the campaign. If that happens, he would likely be arrested given that he still faces various charges, including rebellion and sedition, despite the withdrawal of the European Arrest Warrant that Madrid issued against him. 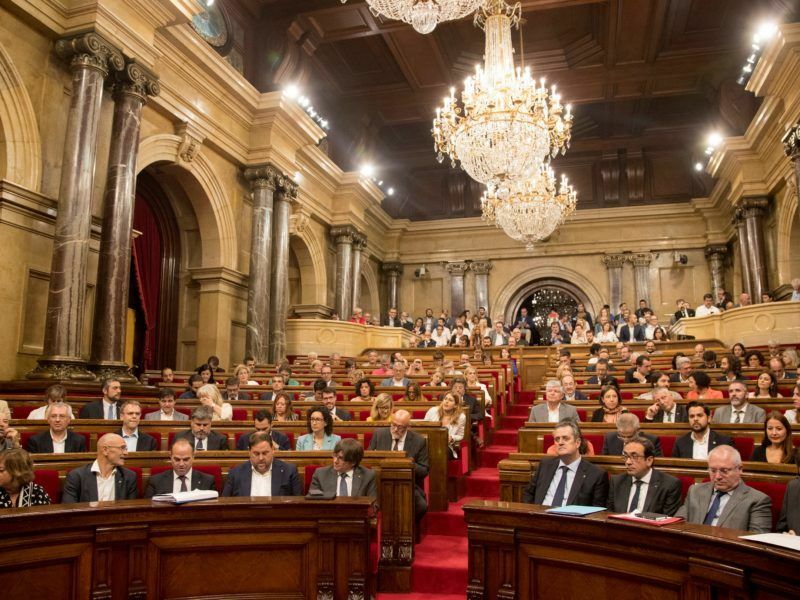 Catalan parties will officially start campaigning this midnight to elect a new parliament on 21 December, hours after judges decided to maintain pro-independence members in prison for being involved in violence in the run up to the unilateral declaration of independence of the region. Former Catalan President Artur Mas, a member of Puigdemont’s inner circle, also expected the former president to return to Spain. The leader of Ciudadanos, Inés Arrimadas, told the secessionist camp that her victory “makes more visible that the political situation in Catalonia is not what some wanted to ‘sell’ to the rest of the world,” stressing that a majority of Catalans are in favour of unity with Spain. The results of the election also recalibrated the balance of power within each camp. ERC, which was leading in the polls, failed to come first among the pro-independence parties. With only 32 seats, it comes behind Junts per Catalunya, which got 34 seats. 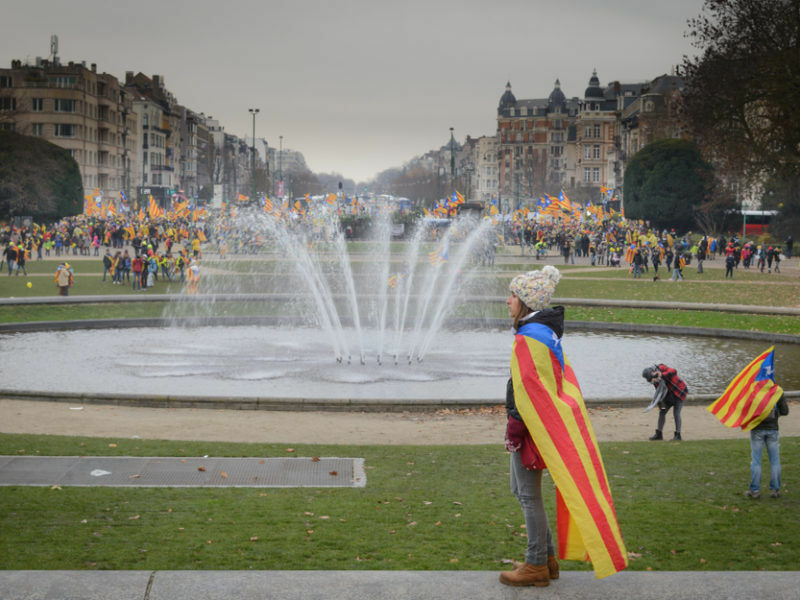 The result also represented a triumph for Puigdemont’s strategy of fleeing to Brussels, where he maintained a very active public relations effort and was hailed as ‘president’ in a massive pro-independence demonstration held early December. 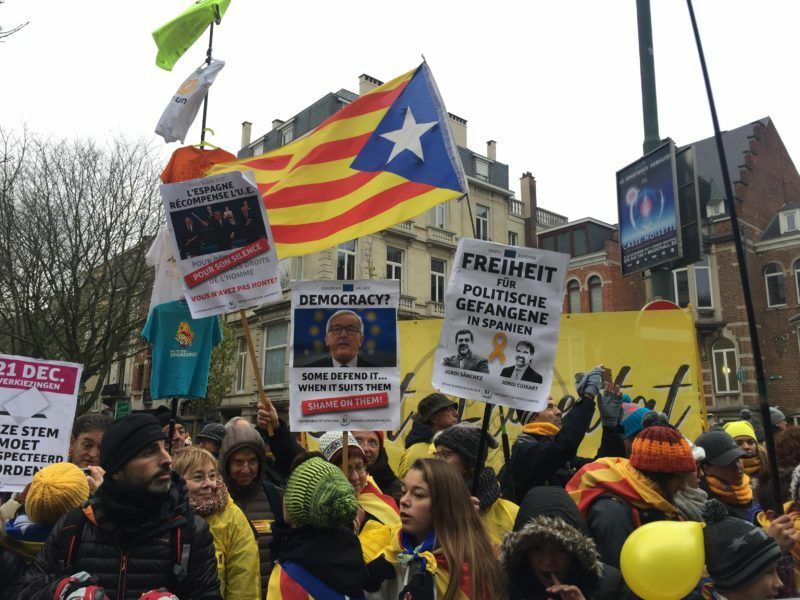 Thousands of Catalans took the streets of Brussels on Thursday to support ousted Carles Puigdemont and to demand the release of the Catalan leaders that remain in prison. Meanwhile Junqueras, who remained in Spain and is still in prison, failed to win over the secessionist camp, a position he claimed when he decided to break his 2015 alliance with Puigdemont to run independently. CUP, a radical left-wing party, lost 6 seats compared to the last elections, but its four deputies are crucial to retain the majority in the secessionist camp. Catalunya en Comú, in favour of an agreed referendum but against the unilateral break-up, failed to meet expectations and got only 8 seats. Among the unionists, Ciudadanos’ victory eclipsed the other parties. The Socialists admitted that their result (17 seats) was not what they expected as they failed to become the kingmakers of an alternative majority to the pro-independence bloc. Meanwhile, the PP candidate, Xavier García Albiol, said that the results were “bad for the future of PP in Catalonia and for the future of Catalonia”. Catalonia’s parliament declared independence from Spain in a historic vote on Friday (27 October), setting the scene for a showdown with Madrid, which has announced it would strip the breakaway region of its autonomy. Albiol attacked Ciudadanos for stealing his voters by calling for tactical voting. “Some will celebrate for five minutes, but they will be in the opposition with us for months”. The PP’s defeat and the failure of the unionist camp to obtain a majority despite the record participation (80%) adds more pressure on Rajoy’s government to find a political solution to the most serious political crisis Spain has faced since democracy was restored four decades ago. Rajoy told reporters last Friday after an EU summit in Brussels that the exceptional measures adopted in Catalonia (article 155) would stop once there was a new government appointed in the region. 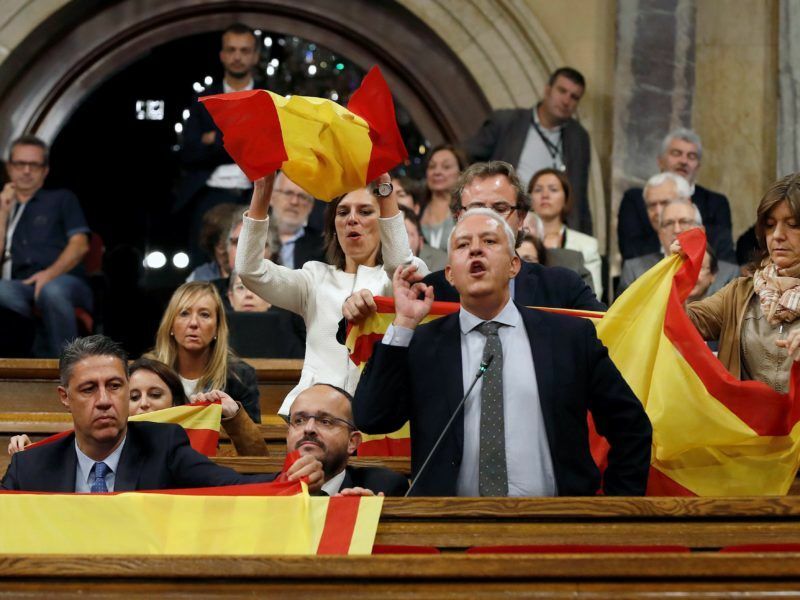 Spain on Friday (27 October) sacked Catalonia’s regional government, dissolved the Catalan parliament and called a snap election in the region for 21 December, in a bid to draw a line under Spain’s worst political crisis in 40 years. 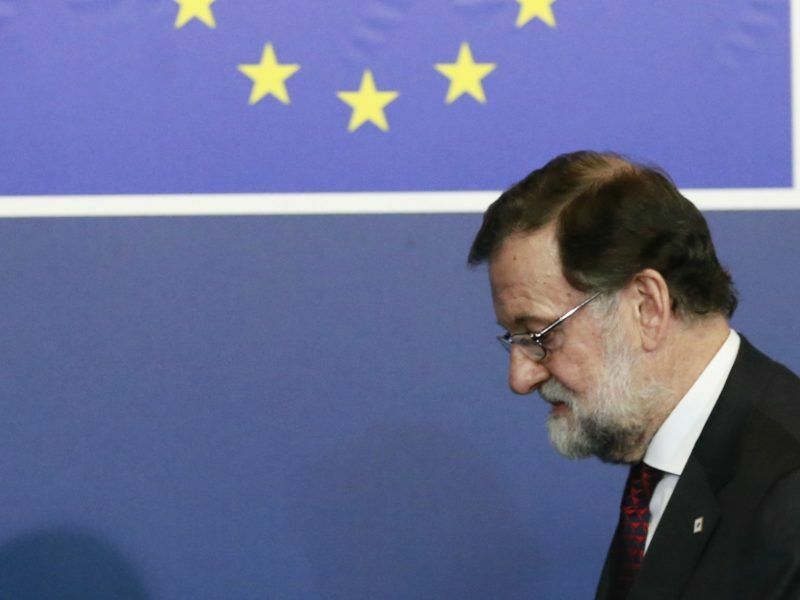 But it is unclear how far Rajoy is willing to go in the Constitutional reform he promised for the coming months. The pro-independence camp refused to participate in this process, indicating their preference for a bilateral negotiation directly with Madrid. Their aspiration is to set the terms of a new independence referendum. You mean you don’t respect the vote of the Irish in 2009, for example? Or the Spanish referendum that approved the Constitutional Treaty in 2004? Nice little demagogue you are. Democracy also means giving the people a right to change their mind, otherwise indeed it’s dictatorship. Future? what future? The PP & Ratjoy have no future.